This policy has been established to inform University employees of their individual obligation and responsibility to comply with the Commonwealth of Virginia’s conflict of interest requirements on behalf of the University as well as The Uniform Administrative Requirements, Cost Principles, and Audit Requirements for Federal Awards (Uniform Guidance). Specifically, this policy addresses those instances where the personal interest of an individual employee, or a member of the employee’s immediate family, in a third party either conflicts or could be perceived to conflict with the performance of their official duties. Real or apparent interference of one person's interests with the interests of another person, where potential bias may occur due to prior or existing personal or professional relationships. The project director or principal investigator and any other person, regardless of title or position: (1) who is responsible for the design, conduct, or reporting of research or proposed research, which may include, for example, senior research staff, collaborators or consultants;and (2) whose research is supported by extramural funding (not internal funds or gifts). The Code of Virginia states that citizens are entitled to be assured that the judgment of public officers and employees are guided by laws that establish ethical standards, prohibit inappropriate conflicts of interest, and require disclosure of certain economic interests. As a state agency, the University affirms its commitment to these same principles of ethical conduct and transparency. While adherence to these principles applies to all divisions of the University, the specific requirements of this policy do not apply to the Medical Center or the College at Wise. Medical Center Team Members are responsible for knowing and complying with Medical Center Policy 0013: Vendors, Sales and Service Representatives at the Medical Center and Health System Policy BEH-002: Conflict of Interest and Conflict of Commitment. College at Wise employees are responsible for knowing and complying with College at Wise conflict of interest requirements as specified in the Faculty Handbook (Section 6.4), Staff Handbook (Section 9.1), and as otherwise directed by College leadership. All employees (e.g., faculty, professional research staff, University staff, classified staff, postdoctoral research associates, and contingent workers) of the Academic Division are state employees and, as such, are subject to certain provisions of the Code of Virginia, Title 2.2 Administration of Government. Among the provisions applicable to Academic Division employees are the expectations for ethical conduct, avoidance of conflict of interest, and maintenance of the public trust detailed in the State and Local Government Conflict of Interests Act (Code of Virginia, Title 2.2, Chapter 31) and Article 6: Ethics in Public Contracting of the Virginia Public Procurement Act (Code of Virginia, Title 2.2, Chapter 43, Article 6). Note: The same term may not be used consistently throughout the Code of Virginia; for example, “immediate family” is defined differently in the State and Local Government Conflict of Interests Act than it is in the Virginia Public Procurement Act, Ethics in Public Contracting. For this reason, links to the relevant definitions are provided in the following sections. Note: Definitions for terms in quotations are located in § 2.2-3101. Applies to: Any employee identified by the University to complete a Statement of Economic Interests. The State and Local Government Conflict of Interests Act explicitly states that “citizens are entitled to be assured that the judgement of public officers and employees will be guided by a law that defines and prohibits inappropriate conflicts and requires disclosure of economic interests” (see § 2.2-3100). To that end, the act details specific actions that must be taken when a state employee, or a member of the employee’s “immediate family,” has a “personal interest,” that either conflicts or could be perceived to conflict with the performance of the employee’s official duties, i.e., a conflict of interest. Examples of potential conflicts of interest and other prohibited activities (e.g., the solicitation, offer, or acceptance of gifts) are provided on the Conflict of Interest webpage. The University must annually provide the Virginia Conflict of Interest and Ethics Advisory Council (Council) the name and job or position title of each individual required to file a Statement of Economic Interests. Individuals required to file must also periodically complete the Council’s conflict of interest training modules. The Act’s prohibitions and penalties apply to employees as individuals, not to the University. While the University seeks to assist employees in complying with the Act and has roles to play in the evaluation and approval of certain exemptions, it cannot provide individual employees advice on the applicability of the Act to an individual’s specific circumstances. However, employees may contact the Council in writing to request written informal advice or a formal advisory opinion. Section 2.2-3121(A) of the Act provides that an employee will not be prosecuted for a knowing violation resulting from the employee’s good faith reliance on a written opinion of the Attorney General or a formal opinion or written information advice of the Council in response to a written request after a full disclosure of the facts. Alternatively, an employee can obtain legal advice from a private attorney. Note: Definitions for terms in quotations are located in § 2.2-4368. Applies to: Any employee who has a procurement-related conflict of interest as described below. With respect to conflict of interest, the provisions of the Virginia Public Procurement Act, Article 6: Ethics in Public Contracting, supplement but do not supersede the requirements of the State and Local Government Conflict of Interests Act. The Ethics in Public Contracting provisions detail the specific actions required of an employee whose “official responsibility” includes participation in a “procurement transaction” in which the employee or a member of the employee’s “immediate family” has a “pecuniary interest arising from the procurement,” i.e., a conflict of interest. Examples of conflicts of interest and other requirements of the act including, but not limited to, required disclosure of subsequent employment, prohibitions on the acceptance of gifts, and recusal from participation in bid preparation are described on the Conflict of Interest website. Employees may be required to take one or more of the following actions, depending on the specific circumstances: disclosure of the “pecuniary interest arising from the procurement,” obtaining University approval, and recusal from related activities. Applies to: Any employee who has a research-related conflict of interest as described below. The terms and conditions of sponsored programs often require that the University explicitly prohibit conflicts of interests in the selection, award, and administration of procurement activities. For example, The Uniform Administrative Requirements, Cost Principles, and Audit Requirements for Federal Awards (Uniform Guidance) (2 CFR §200) applicable to certain federally-funded sponsored programs, i.e., grants and agreements, requires that the University “maintain written standards of conduct covering conflicts of interest and governing the actions of its employees engaged in the selection, award, or administration of contracts” [2 CFR §200.318 (c)(1)]. 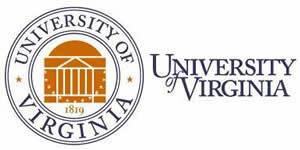 The Virginia statutes referenced in the preceding sections; the University’s Code of Ethics; University policies RES-005: Financial Conflicts of Interest for Research Investigators, RES-008: Institutional Conflict of Interest in Human Subjects Research; and this policy fulfill the institutional requirements related to conflict of interest imposed through most sponsored program terms and conditions, including the Uniform Guidance. Sponsor conflict of interest requirements not adequately addressed by existing measures will be evaluated and, if accepted, managed on a case-by-case basis by the Office of Sponsored Programs. Informing identified individuals of their filing and training obligations, deadlines for completion, and potential penalties for noncompliance under the State and Local Governments Conflict of Interest Act. Reviewing sponsored programs and disclosures of significant financial interests submitted by investigators to assess applicability of the State and Local Government Conflict of Interests Act requirements. Informing UVA_HR when an employee who is an investigator becomes subject to State and Local Government Conflict of Interests Act filing and training requirements through application of the research exemption at § 2.2-3106(C)(8), rather than by the nature of their University position. When required, assisting investigators with disclosures and requests to the University President for approval of exemptions related to research activities under §§ 2.2-3106(C)(8) or 2.2-3110(A)(5) as applicable. Administering University policies RES-005: Financial Conflicts of Interest for Research Investigators and RES-008: Institutional Conflict of Interest in Human Subjects Research. Reviewing disclosures from employees related to the employee’s or an immediate family member of the employee’s interest in a third-party providing goods or services to the University. When required, assisting employees with disclosures and requests to the University President for approval of exemptions related to procurement activities, e.g., those under §§ 2.2-3106(C)(6), 2.2-3106(C)(9), and 2.2-3110(A)(5). Issuing an annual notice to employees via email reminding them of their conflict of interest related to obligations under both the State and Local Governments Conflicts of Interests and Virginia Public Procurement Acts. Knowing and complying with all applicable requirements of the State and Local Governments Conflict of Interests Act. Note: Many provisions of the act apply to all employees, not just those required to file a Statement of Economic Interests. Knowing and complying with all applicable requirements of Article 6 Ethics in Public Contracting of the Virginia Public Procurement Act. Access to the online Disclosure System and Training Modules is available from the Virginia Conflict of Interest and Ethics Advisory Council website. If applicable, knowing and complying with sponsored program terms and conditions. Note: All investigators, whether or not employees, are required to disclose annually through the University’s Online Disclosure System (see policy RES-005: Financial Conflicts of Interest for Research Investigators); this requirement is separate and distinct from the requirement some investigators will have to disclose through the Commonwealth’s Disclosure System. If applicable, knowing and complying with the conflict of interest policies and/or procedures established by their school, department, or unit. Any person convicted of a willful violation of any provision of Article 6, Ethics in Public Contracting, of the Virginia Public Procurement Act shall be guilty of a Class 1 misdemeanor. Upon conviction, any University employee, in addition to any other fine or penalty provided by law, shall forfeit employment with the University. Violations of the State and Local Government Conflict of Interests Act can result in imposition of both civil and criminal penalties and may constitute malfeasance in office or employment. Any action by a University employee to obtain an unauthorized personal benefit is a fraudulent transaction (see policy GOV-002: Reporting Fraudulent Transactions). Independent of any legal action, an employee’s failure to comply with the requirements of this policy may result in disciplinary action up to and including termination in accordance with relevant University policies. Questions about this policy should be directed to the Compliance Office.